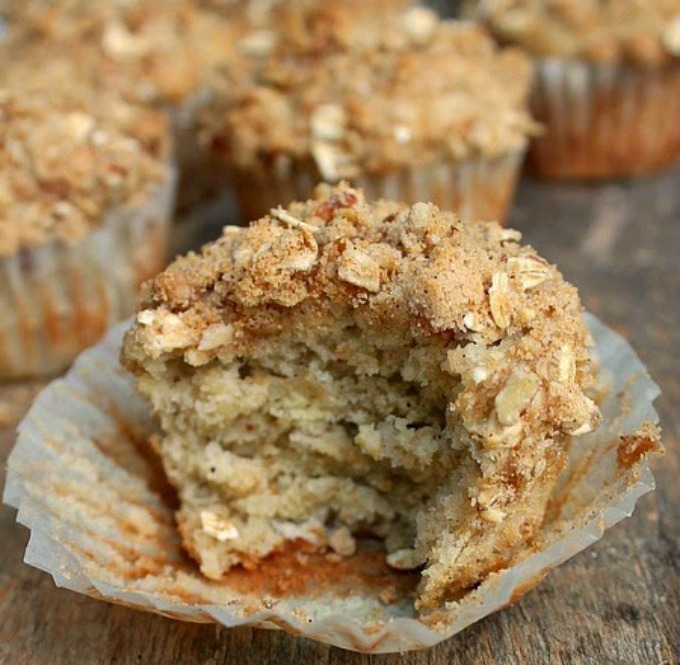 Tender , moist and delicious Maple Oatmeal Muffins are sweetened with real Maple Syrup. No sugar added, just real Maple Syrup. Grab yourself a cup of coffee or a big glass of milk while you savor the flavors. The oatmeal provides a nice chew while the walnuts add just the right amount of crunch. 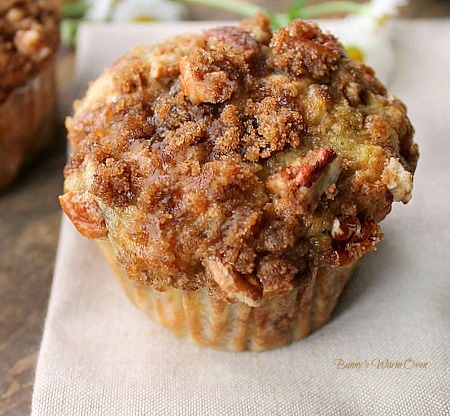 The muffins are sweet but not overly sweet, letting you enjoy the touch of cinnamon in the background. I decided to make Spiced Maple Butter to spread on the muffins. A simple easy flavored butter with only three ingredients. Butter, Maple Syrup and cinnamon. This delicious concoction would be wonderful on toast, pancakes or waffles. Adding the spiced butter to the muffins is like adding a scoop of ice cream to pie, it doesn’t need it to make it delicious , it just takes it up and over the top to AMAZING! Enjoy! 1. In a medium mixing bowl combine the oats and milk, let stand for 5 minutes. 2. In a large bowl combine flour,baking powder,salt and cinnamon, mix with a fork to combine. Make a large well in the center of the flour mixture, set aside. 3. To the oat and milk mixture add the maple syrup, melted butter and slightly beaten egg. Stir to incorporate. Add the oatmeal mixture all at once to the flour mixture, stir until just moistened. Batter will be lumpy. Fold in 1/4 cup chopped walnuts. 4. Spoon batter into prepared muffin tin, filling 2/3 full. Sprinkle with remaining 1/4 cup chopped walnuts. Bake at 400 degrees for 15 - 18 minutes, or till golden brown. 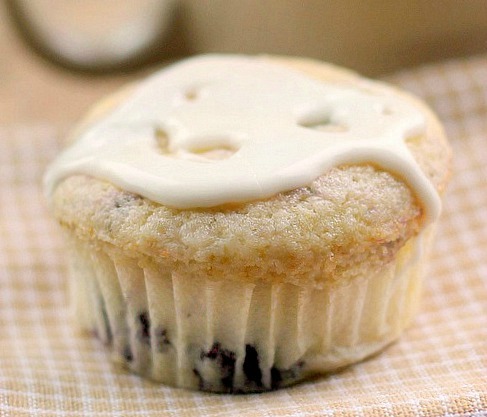 Cool in muffin tins for 10 minutes. Remove from tins and serve warm. In a large bowl , beat the butter, maple syrup and cinnamon till fluffy. Place in a container, cover and chill for up to a week. Serve at room temperature. If you enjoyed this recipe, you may be interested in these as well. I will be making these muffins in the next 2 days, but have a question. My hubby is diet-restricted from nuts, so can I use a larger amt of oats or just leave out the nuts & go from there? You can leave them out or substitute roasted pumpkin seeds or sun flower seeds Mary. These sound delectable! Found you at the #HomeMattersParty linkup! You had me at maple then you added oatmeal and went above and beyond with the maple butter! So glad you shared with us at Merry Monday. Pinned it and plan to share this week on my FB page. 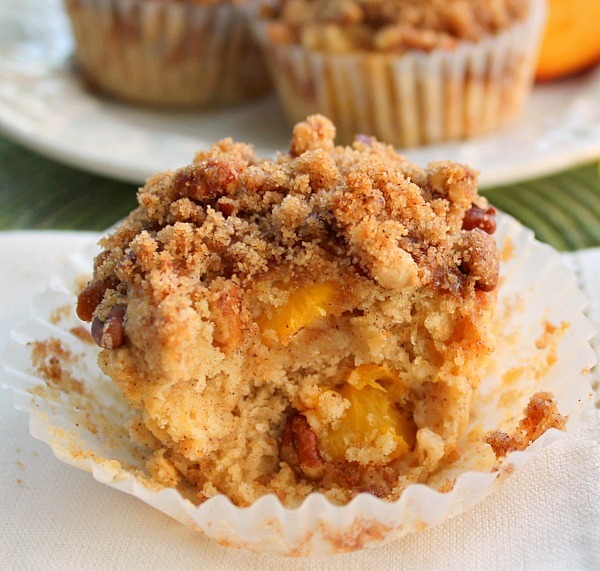 My boys & I are eating some of these delicious muffins for breakfast right now. They are absolutely perfect! They’re moist, just sweet enough, with a good chew… They’re just so yummy & satisfying. And the maple butter would make such a great holiday or hostess gift! Oddly enough (We LOVE Cinnamon usually…) The family like it without this time…the light Maple taste got too overwhelmed, my husband commented.